Whether your shopping for yourself or for your own shop or market .. 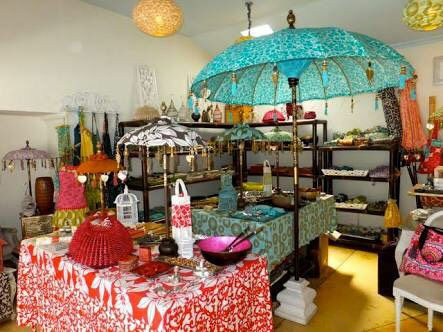 Enjoy your shopping experience ..
Set aside some decent time to explore the mother-load of popular Bali fabric décor, found at Bali Zen. We’re talking cushion covers by the truckload, crocheted rugs and kids toys, aprons, bed linen and bags of bags. Teamed with wooden words, wall art, table ware and other delectable goodies, you’ll be sure to find the perfect addition to your home, or the perfect gift for someone special. And, because they only sell fair trade décor and gifts, you have a legitimate reason to buy that one extra piece. 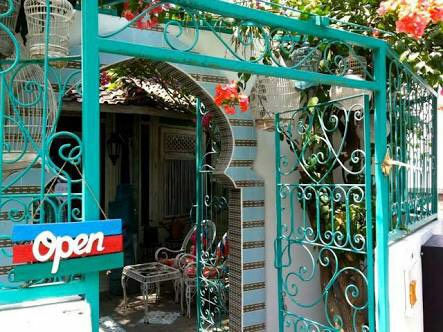 Bali Zen, Jalan Seminyak, No.40, Seminyak, p. +62 361 738 815. They also have locations in Nusa Dua, Ubud and Kuta. Colour, art and style equals hip home-wares plus. 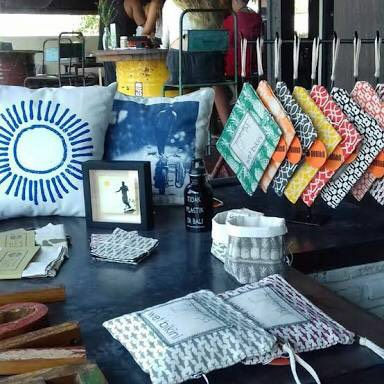 Bomba brings a range of funky, edgy fashion & home-wares to Canggu, with on-trend designs that incorporate vintage prints and retro screens inspired by art, movies, music, and life styles of the fun. Bomba is already a favoured brand around Bali [Biku, Drifter and The Offering to name a few stock them in store] so their stand-alone store now showcases their cool range of gear across guys, boys, fashion, home-wares and jewellery. And, if you need any more incentive to get happy, their next-door gelato is a genius touch, too. Bomba, 33 Jalan Batu Mejan, Canggu. For the fans of resort-styled homes, or even those who follow Instagram accounts like villa styling, this shop is where you need to go. Bungalow Living is exactly as its name suggests – they provide all sorts of resort/villa/bungalow style home-ware and furnishings here. 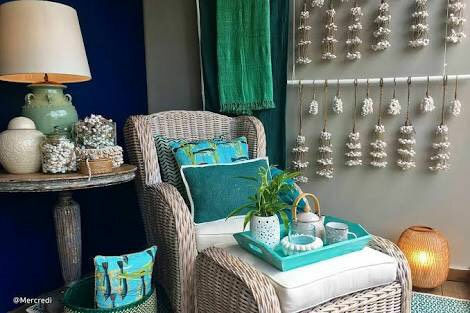 Surrounded by upmarket resorts and amazing restaurants, Carga on the swanky Jalan Petitenget strip offers a lovely range of small furniture, cushions, clutches, storage jars, platters, essential oils, cards, and gorgeous rattan chairs and basket ware. I defy you to walk away empty handed. This one’s a Honeycombers Bali favourite, too. Carga, Jalan Petitenget, No. 886, Petitenget, p. +62 361 847 8180. D2 specialises in beachy style home-wares, birdcages, small teak furniture, bowls, and wooden signs. A myriad of colour and a feast for the eyes, this store is packed to the brim, and very hard to miss on the “must do” jailhouse road of Mertanadi in Kerobokan. You’re sure to find something to love here. D2 Detail Deco, Jalan Mertanadi 33X, Kerobokan, p. +62 812 3991 1157. Has so many home made and travel-friendly pieces that are super-easy to pack into the suitcase with a little care! 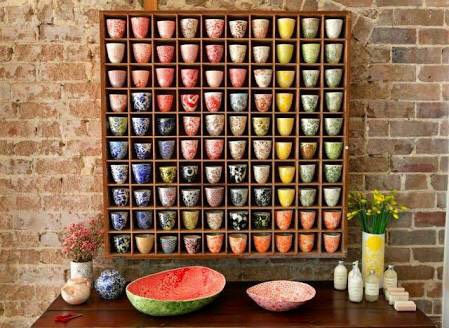 It’s hard not to be drawn to Gaya Ceramic & Design’s divine collection of handmade, artisanal home-ware collections. From gorgeous bowls, plates, jugs and kettles for a table setting like no other, to stunning lamp and wall fixtures that look more like modern art, installations, Gaya Ceramic & Design is sure to set your hobby for home-wares on fire. And with totally unique pieces that can be custom designed, these treasured creations are sure to get your friends talking at your next dinner party. Don’t leave without nabbing one of vases or fruit bowls, which can be carefully wrapped and packed in your suitcase, too! Gaya Ceramic & Design, Jl Raya Sayan, Ubud, p. +62 361 8989515. Geneva is a three-level warehouse of handicrafts that stocks virtually everything Bali-inspired – at great prices, too. Cushions covers? Yep. Baskets? Yep. Trays, candles, paper lanterns? Yep, yep, yep. 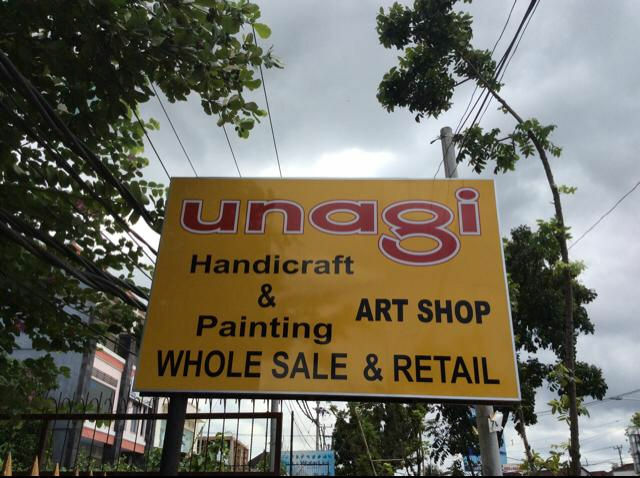 A true, one-stop-shop for all of your Bali souvenirs. Take a BIG bag. And maybe even a car. A Honeycombers Bali favourite. Geneva, Jalan Raya Kerobokan No. 100, Seminyak, p. +62 361 733 542. Opposite Switch Sandwiches Legian. Just past Hotel Kumula Pantai Legian. With handmade, artisanal creations, Kevala Ceramics is a favourite in Bali. Remember that beautiful restaurant that you went to, the one with the gorgeous handmade plates and bowls. Remember how they made you feel. Well it was most probably a Kevala creation, and it’s time to take that feeling home. Kevala means perfect, whole, and complete, and this is the design philosophy behind all the ceramics that they make. Each piece is handmade and decorated by local artisans in Bali, and is a perfect example of colour and texture realised through the heart and hands of the finest skilled craftsmen in the world. This is feel-good tableware at its best. Kevala Ceramics, Jalan Batu Belig, Petitinget, +62 361 720 718. 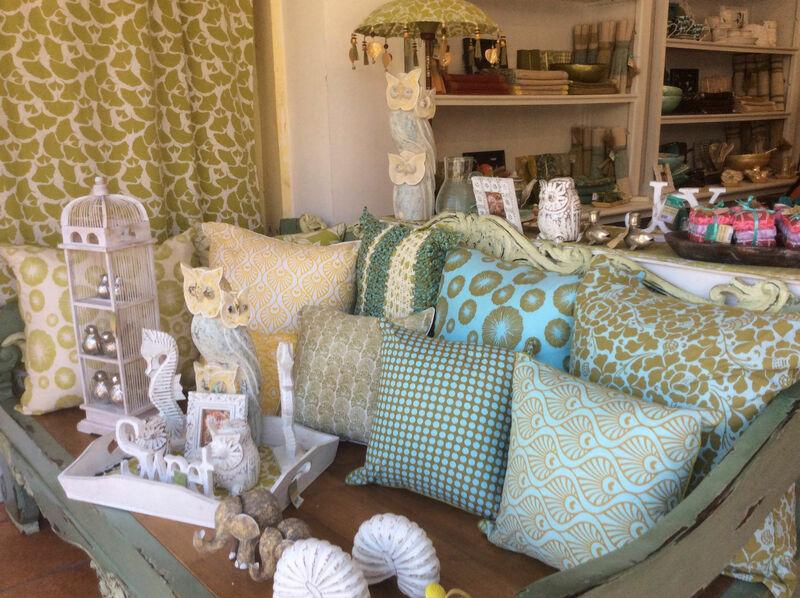 With shell chandeliers, gorgeous woven home accessories, textiles, cushions and a big range of everything else fabulous to brighten your day, Kim Soo is a name you need to know. This home-wares trailblazer is a gorgeous knick-knack Mecca, design store, and more recently, a showroom-style destination called “The Space”. It’s little bit bohemian, a little bit ethnic, a little bit contemporary, a little bit vintage and a whole lot of loveliness. They source products from across the Indonesian Archipelago, manufacture and design their own unique pieces and feature wood, metal, textiles, stone, grasses and paper to produce a diverse range of interesting and unique products. 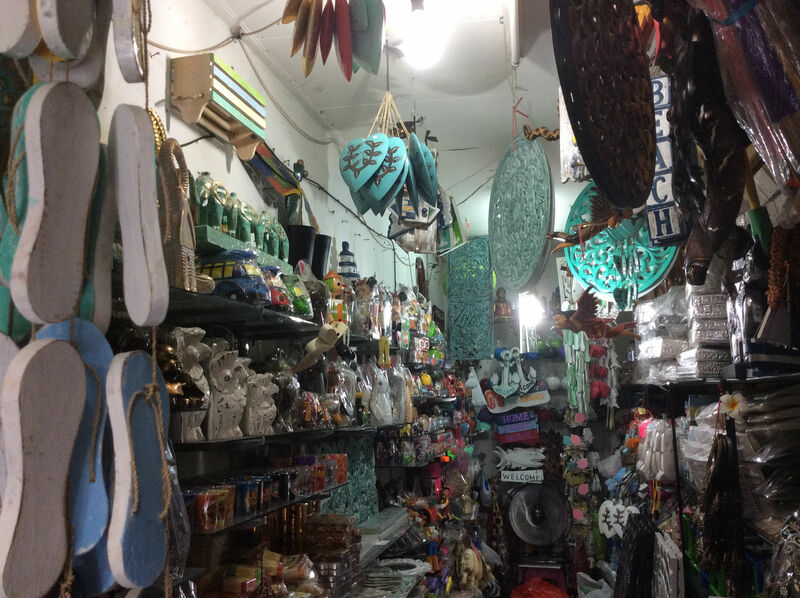 Cushions, rugs, chopping boards, wall hangings, ceramics, marble kitchenware, straw hats, beaded baskets, shell chandeliers – you name it. The lovely long list of fabulous choices goes on, and [trust us] so will your purchases. Kim Soo, Two stores on Jl Kayu Aya No.21 & Jl Sunset Road, e. hello@kimsoohome.com. Mercredi has some of the most beautiful textiles and products in Bali that we simply LOVE! This little gem, on the corner of Jalan Seminyak and Jalan Kayu Aya, has recently expanded to include even more home-wares goodness. 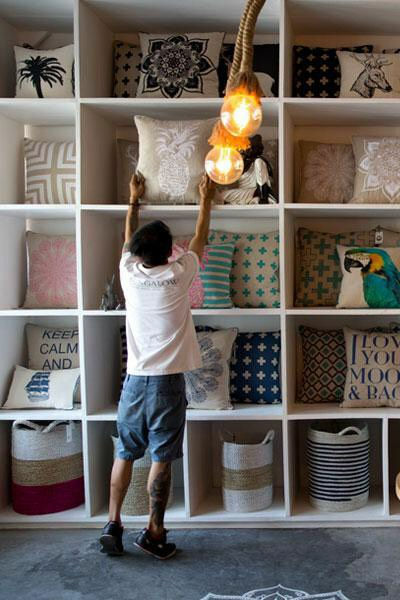 You’ll find plenty of choice if you’re looking for cushions, floor rugs, vases, wall art, sarongs or table wear, as well of one of the best ranges of blankets and throws we’ve found in Bali. Can’t find it? Look for the gorgeous rattan chairs in the window. Mercredi, Jalan Basangkasa (corner Jl Kayu Aya), Seminyak, p+62 (0)361 735 516. Remember papas an chairs? Those gorgeous, all enveloping cushioned havens, begging for you to climb in and snooze? Well, they’re back. And they’re available at My Island Home, along with other examples of rattan furniture and coastal type knick knacks and baskets. To find the store along the Seminyak shopping strip, look for the chairs out the front [with or without us napping in them…]. Everyone loves a venetian mirror, right? Qubu Mirror has a great selection of divine pieces, you’ll want to take them all home. Big, small, ornate or plain, you’ll find the perfect piece here. And if you’re travelling, ask for your purchases to be packed in bubble wrap, ready to transport home as (fragile) checked in luggage. Qubu Mirrors, Jalan Drupadi No 3, Seminyak, p. +62 813 381 21346. No longer just for bed heads and gates, wrought iron is virtually indestructible, and actually easy to transport [trust is, we’re home-wares mules). And it now comes in so many groovy and colourful designs. Rainbow Bali features chandeliers in multiple sizes, peacock chairs [love! ], pineapple candle holders [double love! 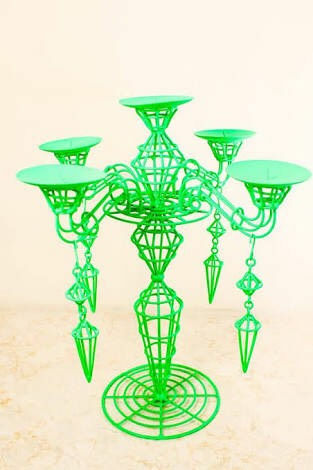 ], candelabras, garment racks, home-wares and so much more. Catering to the higher end of the ceramics market, Samantha Robinson offers beautiful handcrafted bowls, vases, vessels, platters and the most gorgeous jugs. Bring your credit card, because you’re sure to lose your heart here. Samantha Robinson, Jalan Kayu Jati 2a, Seminyak, p. +62 (0) 361 737 295. Meaning one name, Satunama is a creative concept store, bringing together all things fabulous. The store features beautiful bamboo bowls and utensils in the brightest of colours, gorgeous cushions, glass pineapples [we’ll take two please], the most amazing collection of candles with the funkiest lids ever, and much, much more. Drop in to meet Muhsin, the man behind the name, and get a load of Satunama’s fresh take on home-wares awaken the savvy shopper in you. 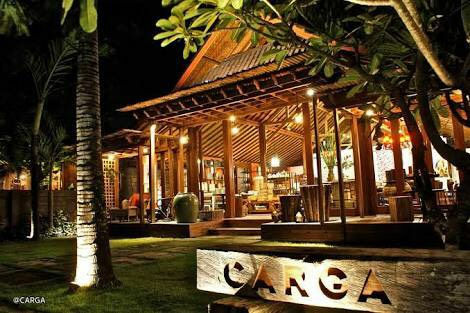 Satunama, Jalan Kayu Aya, Seminyak, p. +62 (0) 361 737 799. 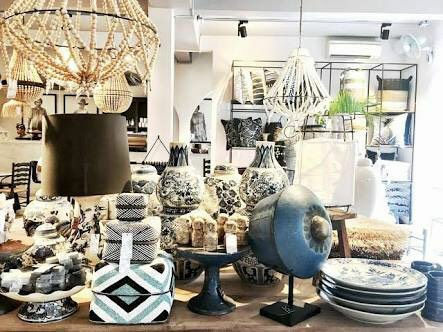 An island favourite for its sophisticated selection of brands and products not found anywhere else in Bali, SOUQ offers a step up in the home-ware stakes and it’s worth the investment. Timeless, classic yet modern pieces will tempt the most discerning of collectors, and a must-visit when wanting to take something home that you can still be proud of in years to come. SOUQ, Jalan Basangkasa #10, Seminyak (at the end of Jl Seminyak, near the corner of Jl Mertanadi. Entry on two sides including directly from Jl Sunset). 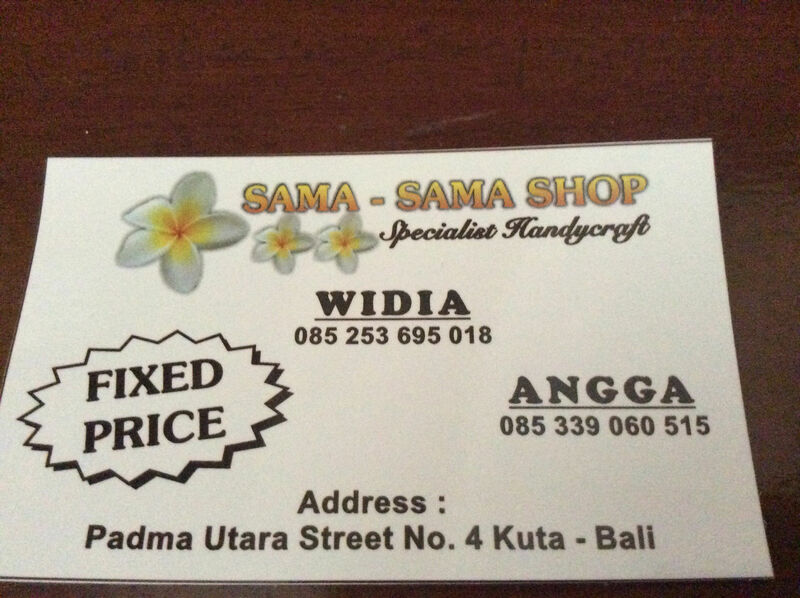 Please mention Bali Buddy – Widia is a beautiful lady with fixed priced home-wares at reasonable prices. If you’re looking for something show her a photo & she will try her best to find it for you. Who doesn’t love more than a splash of neon, style and personality at home? Look here for gorgeous vintage photos, basket ware, clutches, hats, bags, carved buffalo heads and many, many more unique treasures. Just around the bend from the Corner House, it’s a stone’s throw from the main shopping drag and offers you so much variety of beautiful pieces to own, you’ll be adding rooms to your house just to entertain all the new decor styles you’ve picked up. 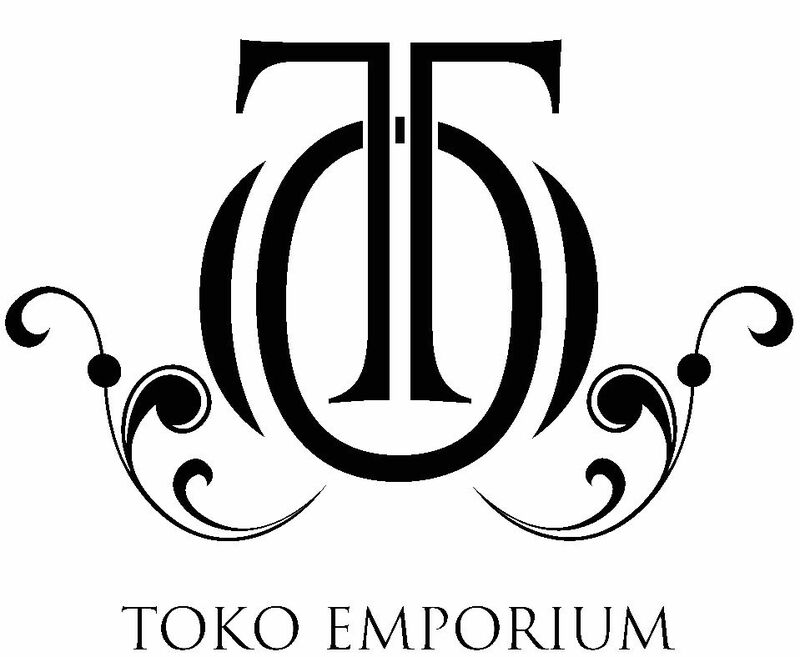 Toko Emporium, Jalan Oberio No 1, Seminyak, p. +62 821 4745 9485. Located in Seminyak Square, Vinotti Living prides itself on upmarket, individual pieces that you won’t find anywhere else. With furniture ranging from benches to beds, clocks, cushions, photo frames, lamps, vases and artwork, this is a ‘grown ups’ home-wares haven. Check out their great range of high end sectional sofas, and their very beautiful one-off mirrors. Vinotti Living Bali, Seminyak Square, Seminyak, +62 361 752 720. This entry was posted on Wednesday, June 20th, 2018 at 5:52 am	and is filed under The Bali Buddy. You can follow any responses to this entry through the RSS 2.0 feed. Both comments and pings are currently closed.